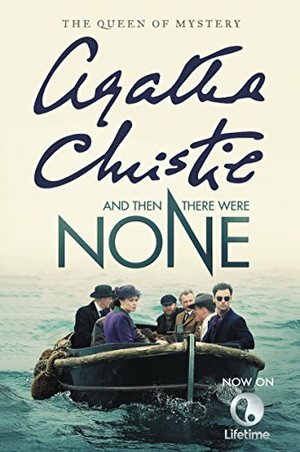 One of the most famous and beloved mysteries from The Queen of Suspense—Agatha Christie—now a Lifetime TV movie."Ten . . ."Ten strangers are lured to an isolated island mansion off the Devon coast by a mysterious "U. N. Owen.""Nine . . ."At dinner a recorded message accuses each of them in turn of having a guilty secret, and by the end of the night one of the guests is dead."Eight . . ."Stranded by a violent storm, and haunted by a nursery rhyme counting down one by one . . . as one by one . . . they begin to die."Seven . . ."Which among them is the killer and will any of them survive? I can see why this is her best selling/most popular mystery. It's absolutely fantastic. Even having watched the most recent adaptation, and therefore knowing the 'who', I was still on the edge of my seat while reading. The atmosphere, the pacing, the setting were all spot on.